Coincidentally, was watching Al Jazeera weather report earlier. Noticed it looked unusually warm over Sapporo area. Bad news for their annual Snow Festival (ice sculptures), which kicked off today. @Whitegold, Yeah, but the warmth up there was not particularly warm and was short-lived. Maxed out around 2C for a few hours yesterday. Don't think it would have made much of a difference! Dust on crust (0-2cm fresh) at Shiga Kogen today. Off piste unpleasant. Pistes quite hard and scratchy due to the rain yesterday. Beautiful sunny and calm day though. Cloudy and mild Wednesday and Thursday. Looks like Thursday evening into Friday will bring some fresh, so will probably be the only day to experience powder this week in the Nagano/Niigata area! Last day of skiing for us so hopefully it will be a good one. Hi, quick question, should i consider Japan for early April skiing? 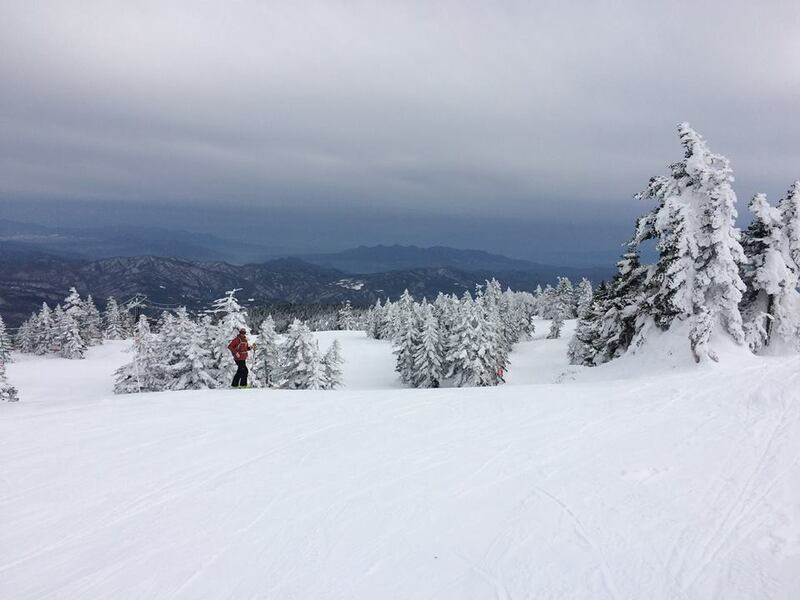 I know its not snorkel skiing season but is there decent late season snow and if so where are the best resorts to consider for a first timer to Japan with intermediate skiing family in tow? Dust on Crust up at the Cat today. But hidden in the trees at lower angles there was 50cm of the dust. Or pick the real wind affected zones and ride the drifts and straight line the crust between. A top Yokoteyama, Shiga Kogen - at 2,305m, the highest ski lift in Japan. Pistes were either hard and grippy if well maintained or glazed concrete with a dusting of lube if not. Great views from the top. Recommend the cafe on top of the top lift. Found some reasonable grippy pistes at Yakebitaiyama though. Last night and today there was a fairly unexpected massive dump at Lotte Arai (and Myoko + nearby areas to a slightly lesser extent). A good 50-60cm fresh snow at higher levels. Great to ski deep powder again after 5 days of crud/crust/ice/hardpack. Last day of skiing in Japan this winter, it was a good one. Yakebi has better piste maintenance than most of the others in Shiga; Seibu owned area.....big Prince hotel at the base. Myoko Sun or Mon with Niigata friends who refuse to pay Arai prices......they buy Myoko pre-season tickets in Aug/Sept. Glad you had a good last day! Nearby Sekiyama weather station at a similar altitude recorded a snow depth increase of 33cm from 00:00 to 24:00 yesterday. Up at the cat, More than a dusting today, started out ankle deep, by days end it was more mid calf. And a lot deeper if you found a lee slope that had wind deposit on it. Sunday 10, Nozawa again....mogul fields were great as the powder had blown in. Up top, Yamabiko, still excellent snow and lots of fun through the trees. Today Akakura Kanko/Onsen (Myoko); everyone telling us we should have come yesterday.....yeah, yeah, yeah. Snow was like velvet until about 2p.m. when temps started to rise. Saw several foreigners being interviewed by ski patrol after skiing down a cliff!.....ok it was not a big one but those rocks can do a lot of damage. More snow on the way. Ankle to over the head face shots, BUT on a frozen/crusty base. Once off anything exposed it got deep quickly. By afternoon all the lower stuff got heavy. Snowed again last night, more snow on the way. Is Japow done for 2019? I managed a quick week in Hakuba 2nd week of Feb. Scratched around for a few days until we found our bearings but later found the goodies, and continued to enjoy them for 4 days straight. Been busy this winter so shoddy on the updates. 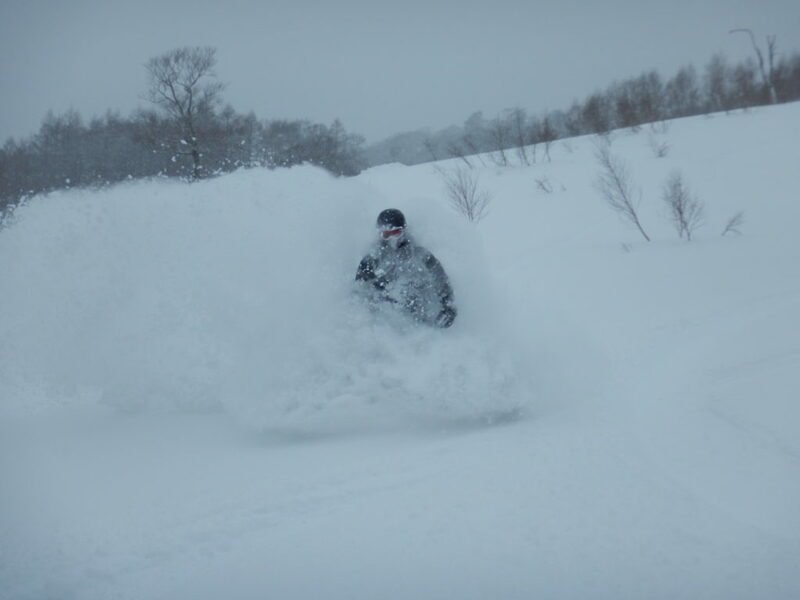 Skied powder in SW Hokkaido up until 17 February. Then a week of sunshine and no snow until 23 February. Last weekend was boot top. More snow on the way mid-week. 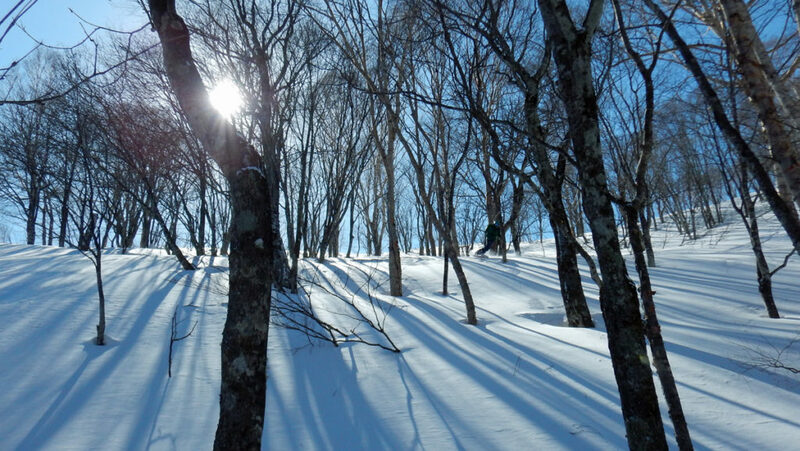 Central Hokkaido has been better - higher, colder, new snow. 7 out of the past 10 winters mid-March has been face shot central. We are in Tokyo at the moment sightseeing before heading to happo one on Wednesday. Evergreen are advising a shortage of side piste powder and advising backcountry skiing. What do the experts think of it? Enjoy the remainder of your season. Hakuba (50/265cm) has had much less snow this season (3.5 metres so far) and nothing in the past week leaving the slopes hard packed and in need of a fresh snowfall. Just my luck - the one year it's convenient to get to Japan! I just got back from 10 days in and around Furano and there was little new snow falling in that time. If it wasn’t for the fact I was on a semi-back country tour and everyone had skins we would have had a very sad time if we had been restricted to lifts/resorts. We ended up doing three backcountry 1000m plus skinning days, one of which was almost 1500m. Temperatures were all over the place with +2C in Furano and -15C plus windchill on the volcanoes on the same day. It had obviously been a lot colder in the days before we arrived, as most roads were coated in 5cm of hardpacked ice. One of the most amazing sights was a road crew who over a couple of days de-iced, excavated and relaid a complete road junction with immaculate tarmac and road markings in sub zero temperatures. I can’t see that happening in the UK. 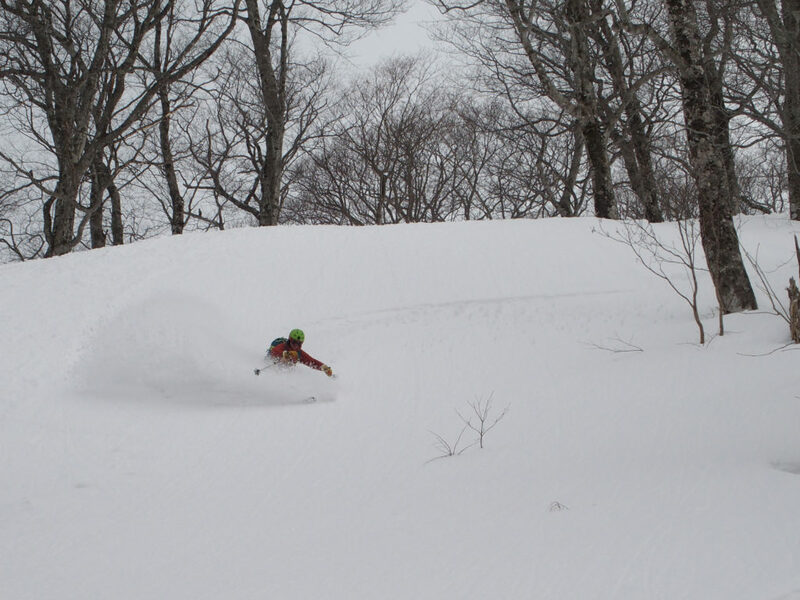 SW Hokkaido fared a little better with resort powder until the 17th. Touring powder up high and a top up in resort on 24th and 25th. Based on my experiences, March will be pretty big. I'm just reading this mesmerising novel. Has anyone ever skied there? We are in Hakuba at the moment slotting in our hotel room. For the first time in my life I cannot work up the entusism to go out skiing. It's bucketing down. With rain. It is probably snowing from the mid station upwards so tomorrow it may be our first powder day. This is my first time in Japan and I was amazed at just how many snowboarders there are. In the alps they are about 5 to 10% in Hakuba 47 (it was a Sunday) over 80% were boarders. And they were young as well. I suspect the average age in the alps is 35 here it appeared to be 20. No wonder the lifts don't have footrests. Anyway we are having a good time and I will post a full report later. Yes and most of the neighbouring resorts. Yuzawa Kogen, Gala and Ischiuchi are joined to make a resonably sized ski area. Opposite you have Maiko and Iwaparra. Round the corner is Kandatsu Kogen that runs night skiing till 4am. Up the road a little is Kagura and Naeba. There are a bunch of other smaller ones as well. If you get bored Nozawa Onsen is within day trip distance. Or through the tunnel to Tenjin for some alpine style steeps. @Idris, sounds great. Thank you. When I arrived in Furano the pension proprietor gave me the tour and showed me the ski room. I had to chuckle since the room contained about 30 snowboards and one pair of skis. I guess the abundance of regular easy access powder is likely to sway the demographic (?). @johnE, You're in Spring Break for Japanese Uni students, so lots of 19-22yr olds. In addition last year several of the big ski areas (most of the Nagano resorts) allowed 19yr olds to ski free in the hope that they would return with groups of friends this season. If it weren't for boarders many Japanese resorts on Honshu would have closed after 'The Bubble'. Hakuba has good transport links with Osaka, Nagoya and Tokyo and so can attract more people than areas up north. On weekdays in Jan/Feb the resorts survive thanks to pensioners, high school groups (up to a thousand at a time all in the same skiwear!) and foreigners. Thankfully it's still cold and dry up north. A slight dusting overnight, but no snow in the forecast. Soooo, four of us have flown, with nieve optimimism, to Rusutsu for 10 days, from the UK, and in all likelihood, my new pow skis are not gonna get used. We’re here now, so are going to use this trip as a recy for future (on forecast) trips. What two or three resorts should we check out on Hokkaido while we’re here? I’ve just read about, Asahidake, it’s higher and is snowing now, so we might try that. Unless anyone here can tell us it’s not worth it. Asahidake is great but remote. You can stay there or 'commute' from Asahikawa - about 50 mins drive. Asahidake has three pistes and the rest is ungroomed, unpatrolled terrain. When it's on it's magic. Anf if it's sunny, the views are dynamite. @hmsgeoff, Asahidake is really a touring ‘resort’, so needs skins or snow shoes to take full advantage. With blue sky and sunshine it is spectacular being the highest peak on Hokkaido with steam pouring from the fumaroles, but it poor weather is can be purgatory. I’ve been there in both conditions, and near white out and -36C isn’t fun. There is only one lift (a large cable car) that runs every 20 mins, from the base to the first plateau. From there it is either skin/bootpack up, or ski back down a short steep section followed by long cat tracks out. You would really need to know that it was really good conditions to make it worth the journey. Stick or twist? I was planning to ski on Honshu 24-29 March. Pretty convenient from Tokyo by train however the forecast seems better for Hokkaido and I could get flights for less than £100 (train on Honshu would be £70). I know it could change but what do we think?